Former heavyweight world champion Tyson Fury has set himself the highest possible standard to reach in his fight with Francesco Pianeta in Belfast on Saturday. The 30-year-old returned to the ring in June after a lengthy absence and saw off Sefer Seferi in four rounds in Manchester. What you're likely to see from me on Saturday is a heavyweight Sugar Ray Leonard, anything less is a failure. Now he is making a step up in class to take on Italian southpaw Pianeta, with Fury expecting the winner of the bout at Windsor Park to earn a crack at WBC champion Deontay Wilder in their next fight. He told reporters: "I study my heavyweights and I know he's fought some good men. He's a big strong fella, he's going to try and knock me out. "He's southpaw which is a lot more awkward because there aren't many of them in the division, so it's hard to get sparring, but every southpaw I've ever fought I've knocked out. "What you're likely to see from me on Saturday is a heavyweight Sugar Ray Leonard, anything less is a failure. Judge me on that comment - a heavyweight Sugar Ray Leonard." Fury is unbeaten in 26 fights as a professional, with 19 of those wins coming by way of knockout. Pianeta has 33 fights under his belt, with his record showing 28 wins, a draw and four losses, with the Italian having lost to both Ruslan Chagaev and Wladimir Klitschko in world title fights. 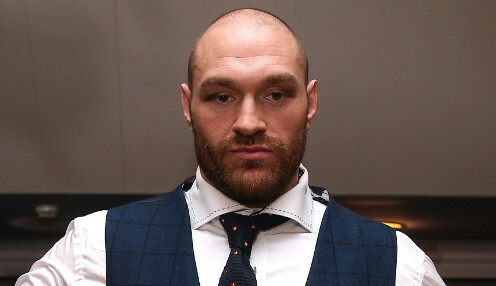 Fury can be backed at 13/2 to win the fight against Pianeta in six rounds and 13/2 to win in five, with the Englishman 1/5 to triumph by way of KO, TKO or Disqualification.